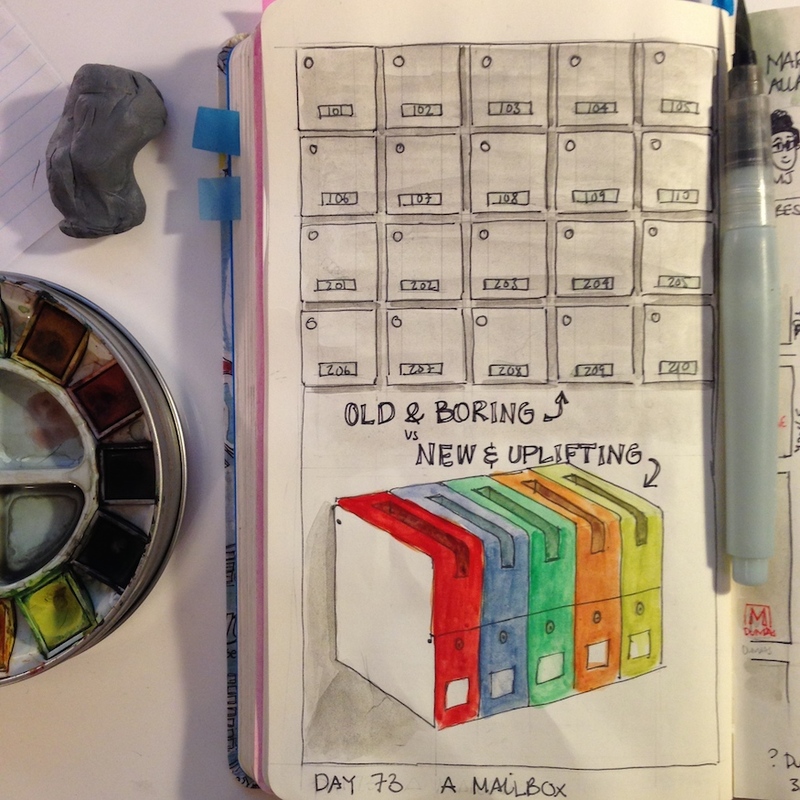 Today's sketch challenge got me thinking about how boring most mailboxes are in apartment and condo buildings. It seems they haven't changed for hundreds of years. They are the same ridiculously small grey boxes where your magazines and large envelopes get squished all the time and you can't receive large packages. I don't understand why. There are other more aesthetically pleasing options, especially in Europe. A bit of colour and larger format would be a great improvment. I blogged about this a couple years ago after seeing original mailboxes in a small apartment building in Ibiza. I did a little search and discover a fun mailbox like the Mailbox Mail Me designed by Fabrica. It would be great to come up with new and original mailbox designs for multi-unit buildings. Perhaps I should look into this as some point in the future.